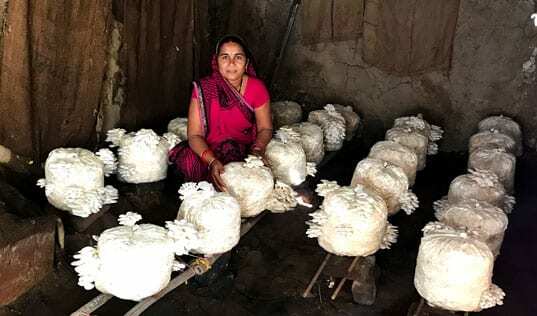 According to the World Bank, small and medium-sized enterprises (SMEs) provide more than 90 percent of all jobs in low-income countries, and such firms are an essential part of emerging economies. However, these firms are far less competitive than their counterparts in industrialized countries. Among the many obstacles to the growth faced by SMEs, the inability to access credit tops the list. How can intermediaries, such as nonprofit organizations supporting SMEs, help them access the credit that they need? Traditionally, such facilitating organizations have worked to make connections between firms and lenders, and to help the firms improve their financial management and loan application processes. However, there is room for a more holistic approach to supporting SMEs in search of financing. 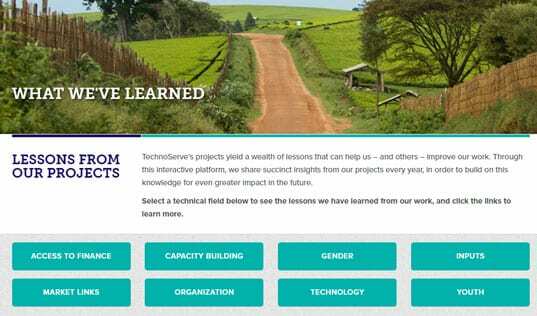 Here are three key lessons drawn from TechnoServe’s projects to support entrepreneurs in sub-Saharan Africa and Latin America. While financing often can be important in the growth of a small business, many entrepreneurs overestimate just how much of it they really need. For example, when TechnoServe began working with the Ada Raquel Bakery in Honduras as part of the Impulsa Tu Empresa program, the company’s managers estimated their financing needs at a little more than $11,000. But when the business advisors started working with the bakery to conduct a cash flow analysis and develop a robust business model, the managers realized they needed an investment of just $2,000 to start generating revenue. It is vitally important that facilitating organizations help entrepreneurs to better understand and model their financing needs. Not only is it more difficult for small businesses to secure larger loans given sizable collateral requirements, but saddling such businesses with unnecessary debt service costs can impede their growth. By the same token, financing can be counterproductive for a business that is not yet ready to absorb the capital it receives. There, too, facilitators and advisors have a role in helping small businesses prepare to take on loans and other commercial types of financing. While practices such as streamlining operations and constructing solid business fundamentals may not make headlines, these steps allow business to grow stronger and more sustainably in the future. Once a business is ready to borrow, it still needs to convince a financier that it is credit worthy. Again, facilitators have an important role to play here in helping the businesses to develop credible sales, production, distribution and marketing strategies. In Tanzania, for example, the Partners in Food Solutions-TechnoServe Alliance helped the managers of the Chamwino Super Sembe Supply maize mill to develop a business plan that included an analysis of the local maize markets, a sales strategy and a marketing plan, among other elements. Armed with this plan, the mill’s managers were able to secure a $250,000 loan from a commercial lender. Just as critically, a firm must put in place the kinds of accounting systems and record-keeping that lenders expect of borrowers. After Agro Laboratories Ceres in Guatemala was rejected for a loan, TechnoServe business advisors and an accounting firm worked with the company’s managers to properly reclassify financial statements. Together, we helped the firm institute sound accounting practices and financial processes to ensure the accurate and transparent financial systems required by the lending institution. Small businesses are often seen as risky borrowers, and as a result, lenders subject them to restrictive collateral requirements and high interest rates. To overcome some of those barriers, an advisor can work with a business and lender to de-risk the financial proposition. Business advisors from the Agro Initiative Zimbabwe project worked with Better Agriculture, a firm that opens up foreign markets for Zimbabwean agricultural products. By brokering a guaranteed off-taker of the company’s produce and providing technical assistance to the company, Better Agriculture was able to demonstrate the additional security that the lenders required. As a result, the firm was able secure an affordable loan through the Zimbabwe Microfinance Wholesale Facility. However, not every financial transaction can be de-risked, nor can every hurdle for a bank loan be cleared. Alternative forms of financing, such as equity financing, may be more appropriate for certain stages of SME development. For example, when the members of the El Desarrollo coffee cooperative in Colombia sought to build a wet mill to process their crops, the collateral demanded by local banks was too high and the farmers did not want to risk losing their land. However, the partners in the Huila Central Mill Project worked to bring a blended technical and financing solution, as well as strengthening linkages with a reliable international buyer of coffee beans. As a result, El Desarrollo was able to secure an equity investment from an impact investor, meeting both the cooperative’s financing needs and its strategic growth priorities. 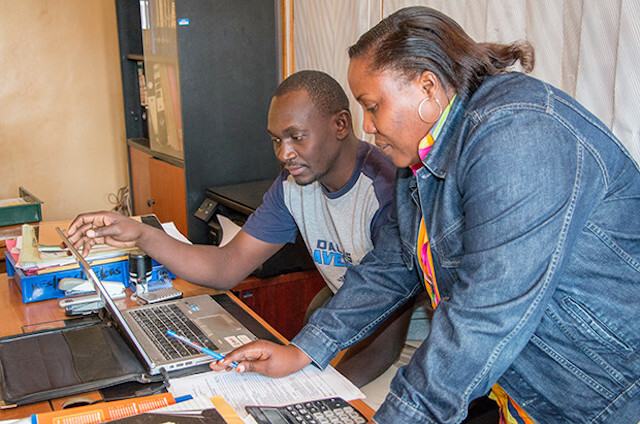 For SMEs to grow and generate the good jobs that are so badly needed in many developing countries, they do not just need access to finance, they need access to financing with appropriate terms and conditions, as well as high-quality technical support to ensure they can execute on their growth plans and repay their obligations. By taking a holistic approach, intermediaries can help set SMEs on the path to successfully accessing the financing required for sustainable and inclusive growth.